Zebra’s 105SLPlus combines durability and ease of use to offer you a high-performance printer that is easy to operate. 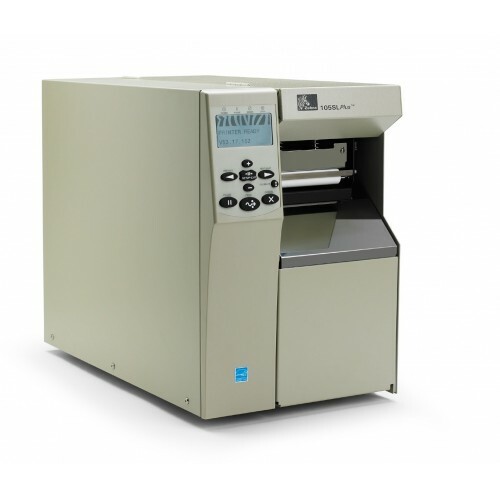 Ideal for economical, high-performance printing, the all metal 105SLPlus printers provide reliable and durable printing for demanding applications. When economical and reliable high-performance printing is required, the rugged 105SLPlus is the right choice. Building on the legacy of Zebra's proven high performance printer design, the 105SLPlus provides high speed printing, a multitude of connectivity options, and all-metal construction to withstand tough use. With its all-metal construction and robust print mechanism, this dependable printer is designed to perform 24/7 in the toughest manufacturing and warehousing environments. The printer’s intuitive, icon-based, multilingual graphical LCD user interface minimizes user training and makes the printer ideal for a multitude of languages and global applications. The simplified ribbon-loading process eases downtime. And, as an ENERGY STAR® qualified printer, the 105SLPlus is easier on your wallet.